“The Alice Challenge“ aims to get 1 million birthday wishes posted for Alice. Please add yours! 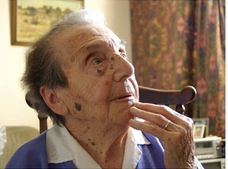 The trailer of the new film “The Lady in Number 6,” approached millions of views as it went viral in 2010, while filmmaker Malcolm Clarke tried to raise the funds to complete the project. The film is complete and Alice is now the subject of Clarke’s full-length, Academy Award-qualifiying documentary, “The Lady in Number 6”. People ask, How could you make music? She endured the miseries of the Prague ghetto, spent two years in the Theresienstadt (Terezín) concentration camp, where nearly 35,000 prisoners perished. “We had to play music because the Red Cross came and the Germans were trying to show what a good life we had,” says Sommer. “It was our luck, actually. 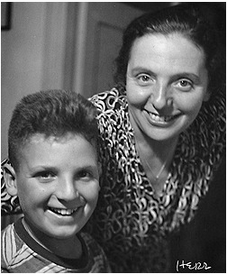 Even so, hundreds and hundreds were dying around us every day.” And she adds, with mind-boggling understatement, “It was a hard time.” Her son performed in the Theresienstadt Children’s Opera, and was one of only 130 of the 15,000 children who survived the camp. Sadly, he died when he was 65. We are thankful for you, Alice. Happy Birthday, Thank You, and God bless you.